ST. GEORGE — One person died and another was injured after a rollover on state Route 14 Thursday morning. Update 5:53 p.m. Police have identified the driver who died as 80-year-old Edwin Hackley, of Enoch. Emergency personnel responded to the crash involving a white Jeep Wrangler with two occupants at approximately 11:39 a.m. near mile marker 23 on eastbound SR-14 in Kane County after a snowplow driver saw the crash on the side of the road about an hour and a half after it occurred, according to a statement released by Utah Highway Patrol. Police say Hackley lost control of the vehicle on the slick road and the Jeep spun off the road to the left, hitting a rock. 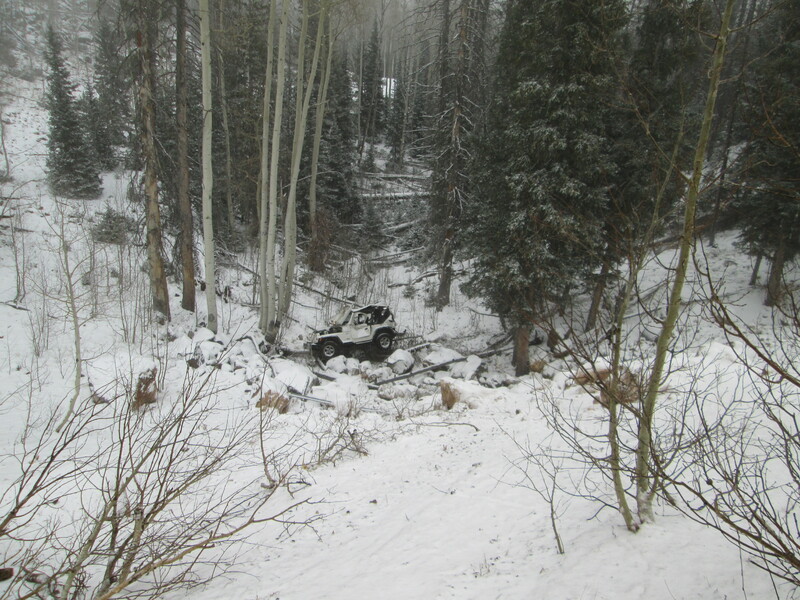 The Jeep then rolled about 40 feet down a steep embankment. Hackley was ejected during the rollover and died at the scene, according to UHP. The female passenger, 76-year-old Karen Hackley, was transported by ambulance to Cedar City Hospital.The UHP statement did not elaborate on the severity of her injuries. Your 4×4 or AWD is not gonna help when it comes to braking. Actually makes no difference. A good set of winter tires is your best bet. I’ve had my life save by studded winter tires before. Hit a sheet of ice. Could feel and hear the studs biting into the ice. Money well spent.